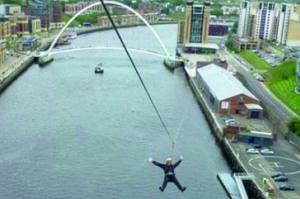 William Hackett are pleased to be sponsoring Richard Frater of Complete Business Supplies who will be doing a Zip Slide from the Tyne Bridge on October 27th to raise funds for Hospice Care Northumberland. Good luck Richard. At Christmas donations were made to both the Great North Air Ambulance and the Wooden Spoon Society. William Hackett also be sponsored a hole at HospiceCare North Northumberland's Annual Charity Golf Day on 8th May 2018. The company donated £100 to help Rothbury Wrestling Club on Friday, 31st August when Rothbury Mart was the venue for their Cumberland and Westmorland Wrestling Event. A full programme of wrestling took place including mixed boys and girls junior classes of under 9 years and under 11 years, boys under 13 years, under 15 years and under 18 years, girls under 16 years, 11.5 stones, 13.5 stones, 15 stones and All Weights and ladies 10.5 stones and All Weights categories. 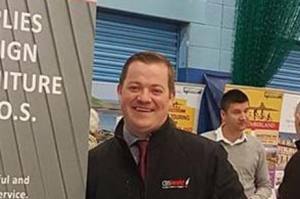 Well done to Dave and Kevin Coutts, Garry McIntosh and Vicky Jolly, who represented EMM Corporation in raising money for Cancer Research. 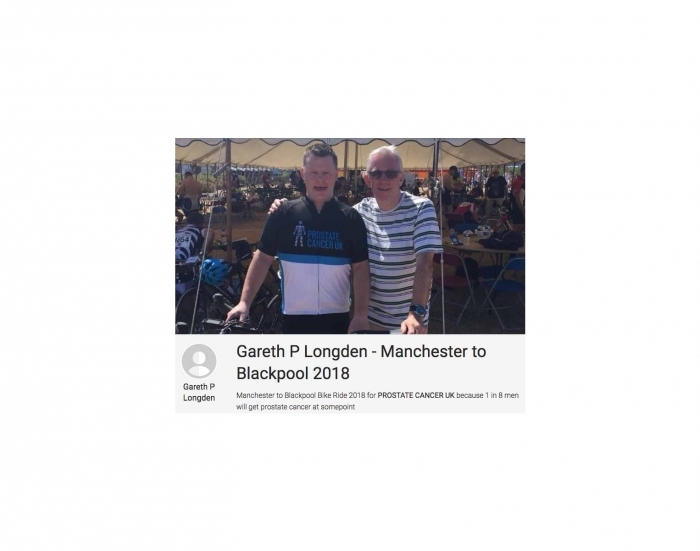 On the 8th July 2018 Gareth Longden from Dale Lifting ( Manchester ) took part in the Manchester to Blackpool Bike Ride to raise funds for Prostate Cancer UK. 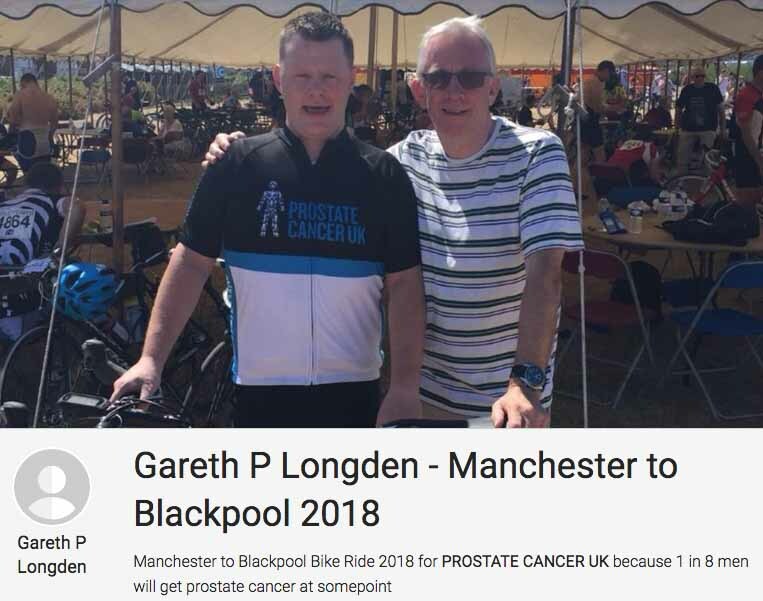 Gareth chose Prostate Cancer UK for this ride as his father had to have a Prostatectomy in January 2011 and further treatment in the form of radical radiotherapy in September / October 2016. 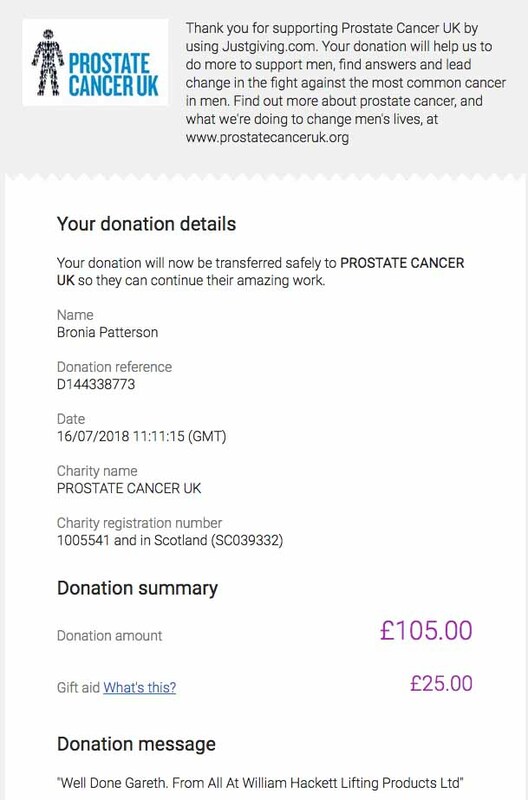 It took Gareth just over 4 hours to complete the ride and he has raised over £1500.00 for Prostate Cancer UK.